This week I found myself on a plane that was not much bigger than the ute I was going to see. 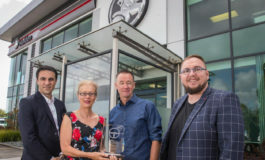 Holden had chosen Great Barrier Island as the extreme location for the launch of the limited edition Holden Colorado Z71 Xtreme. 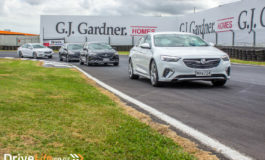 This was also the first time any manufacturer has used the island for a vehicle launch in New Zealand. After the 30-minute flight, in a plane with less than 10 seats and a bumpy landing on a runway no wider than my driveway, we had arrived. The Holden representative was there, waving, to meet us with a bright orange Holden Colorado Z71 Xtreme. To say this vehicle stuck out on the island was an extreme understatement. Life on Great Barrier Island could easily be described as New Zealand 20 years ago, and I don’t think they had day-glow orange utes back in the day. One thing they still do that they did back in the day, is wave to every vehicle you pass. Being a small Island, everyone knows everyone, right? It was time to start our adventure and see what the Z71 Xtreme is all about. First stop of the morning was to have a quick coffee and a short briefing about the Z71 Xtreme and what was the drive behind the idea. 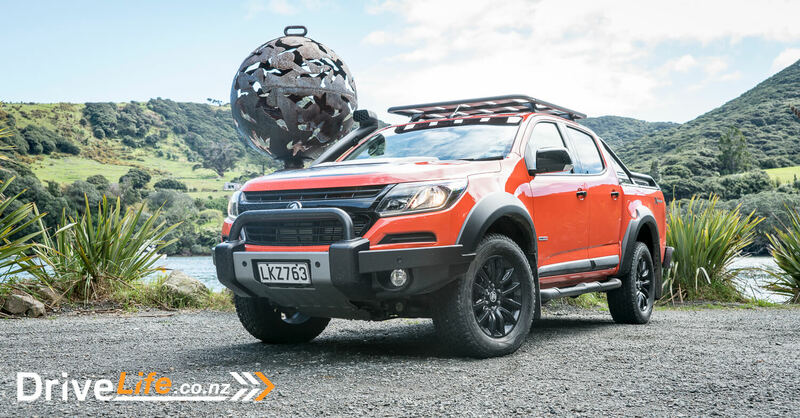 The Ute market today is a fierce one, with so many options across the board and one of the hottest segments is the Halo Model. These top of the line, fully optioned and sometimes rather excessive models come with all the trimmings. 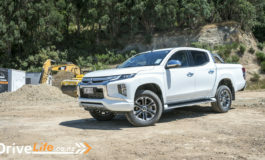 Ford has the new Ranger Raptor, Toyota has the Hilux Gladiator and Mitsubishi has the Triton Huntaway II. 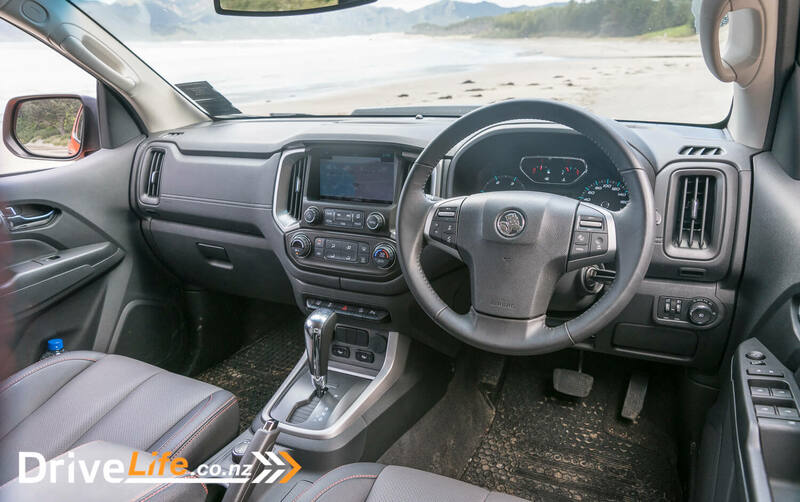 The Colorado Z71 Xtreme will provide Holden with a flagship model to showcase what the Colorado is fully capable of, with the hopes of driving more vehicles and accessory sales across the entire range. 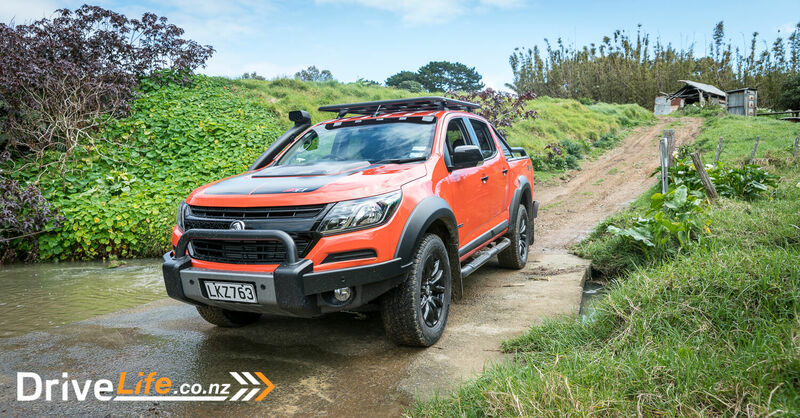 The Colorado Z71 Xtreme is available for $79,990 and limited to only 30 models in New Zealand. That’s just about 1 per dealer, as there are 31 dealers across the country – maybe the last two will have to Rock, Paper, Scissors for it. The Z71 Xtreme comes with the following accessories as standard: the roof tray, leather seats with orange stitching and Xtreme embroidery headrest, bonnet bulge, black grille, winch bar, winch kit, 18” black alloy wheels, and A/T tyres, fender flares, snorkel, black tubular side steps, rear steel step and tow bar, Xtreme decals, black extended sports bar and soft tonneau cover, black Colorado rear tailgate decal and a vehicle recovery kit. All of these options if you selected for any of the models in the range would come to a total of $25,000. The Xtreme comes with all of this for only $13,000 more then the standard top of the range model: that’s a rather nice saving of $12,000. Do you have the ability to make this Xtreme model from the standard Z71 and the accessories list? The answer is yes. The only thing it won’t have will be the limited edition decals and the saving of $12,000 over the Xtreme model. Limited edition models are becoming a common sight in the automotive market. As the surge of the Ute market grows each year so to does the demand for something a bit different. If you manage to get one of the 30 models, who knows, it could be a collector’s item one day. The day’s events took us from the top to the bottom of the island. After the briefing it was on the road to Port Fitzroy, stopping along the way at a couple of scenic photography locations. The Z71 Xtreme handled the narrow roads well for a big ute, and where there were no roads, it handled that stuff well too. It didn’t seem to matter what was thrown at the Z71 Xtreme, there was boatloads of power form the 2.8-litre Duramax diesel engine that pumps out 500Nm of torque. The special All Terrain tyres that are optioned really helped when we crossed some muddy trails, making short work of them. After a rather picturesque stop for lunch, we turned around and went all the way to the bottom of the island to Tryphena. More narrow roads, more waving, more mud, sand and gravel too. As the day carried on, I found myself really drawn towards the Orange Crush of our Xtreme. I really can’t see it being as exciting in black or silver. The whole package was pretty well thought out and would be very high on my list if I was in the market for a new Ute. 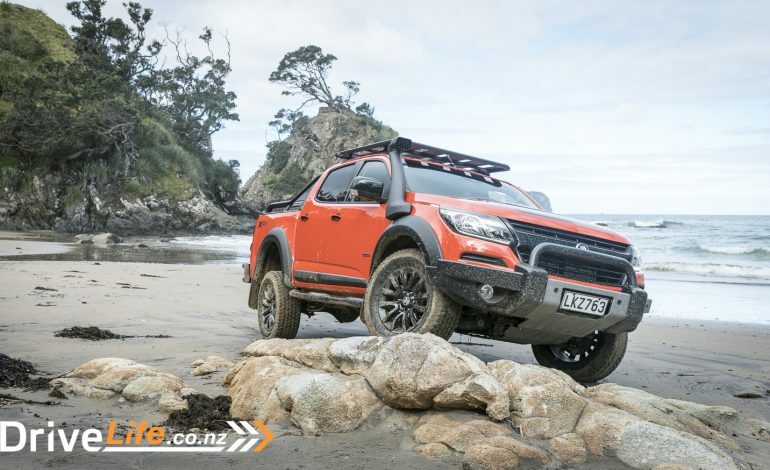 In total, we covered about 120km of road, gravel, mud, and sand in the limited edition Holden Colorado Z71 Extreme. The ute was impressive, the kit was a bargain and the price is not eye-watering. What I really learned is that nothing was really too extreme for it after all.